Fine Art Kangaroo Island’s newest exhibition “Island Spotlight” opens this Tuesday at 5:45pm. 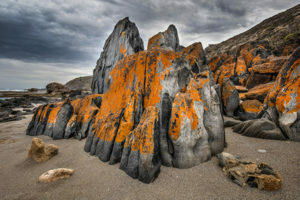 Timed to coincide with the 15th Islands of the World conference, this memorable exhibition features recent works by renowned Island photographer Quentin Chester, Kangaroo Island’s talented environmental weaver/sculptor Kenita Williamson, and visiting marine biologist and internationally awarded photographer Richard Wylie. Kangaroo Island will be in the spotlight all week as delegates immerse themselves in our community and environment. Speakers and attendees from across the world are already making their way to the island for the event. Some acquainting themselves with the 540km of remarkable coastline on offer, while others discover how it feels to be part of this island community. Key conference themes of habitat protection and survival resonate strongly with our three featured artists, each deeply connected to the natural world, which provides a constant wellspring of inspiration and creativity. Quentin Chester has a busy week ahead as he will also step up to speak during the conference. His affinity for Kangaroo Island is unmistakable for anyone viewing his work. Quentin’s wanderings to some of the Island’s least disturbed shores result in magnificent and much admired art photography. Whilst Quentin exposes us to expansive, large-scale monumental landscapes fellow photographer Richard Wylie dives in – literally. He presents intimate discoveries of marine life in their pristine and often threatened territory. Richard is co-founder and Director of the Euakafa Island Research Centre and a member of the IUCN’s World Commission on Protected Areas. He has visited KI several times to take many of the photographs on exhibit. His wildlife photography reflects a genuine love, admiration and wonder for the environment he encounters – both above and within the watery world he feels so at home in. 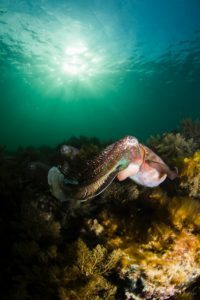 While many have a love for the fascinating creatures inhabiting the depths of the unseen worlds around us, Richard Wylie has met most of them face-to-face. With more than 4,000 dives under his belt, Richard’s talent for capturing and sharing this spectacular beauty is unparalleled. His photos have won or been placed in numerous international and national photography competitions (including the National Geographic’s Oceans Photography Competition and the Australian National Museum’s Eureka Awards). Richard is also a favorite with authors whose work is focused on the marine environment. His photography can be seen in a variety of publications ranging from books and scientific journals, to magazine articles. 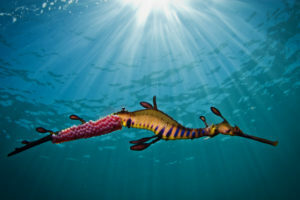 A limited edition of 10 fine art reproductions of Richard’s Eureka award winning Weedy Seadragon image Fatherhood, are available now in our online store. Kenita Williamson’s artistic roots go deep. Originally trained as a potter and having worked as as an art teacher, her chosen medium is textiles. 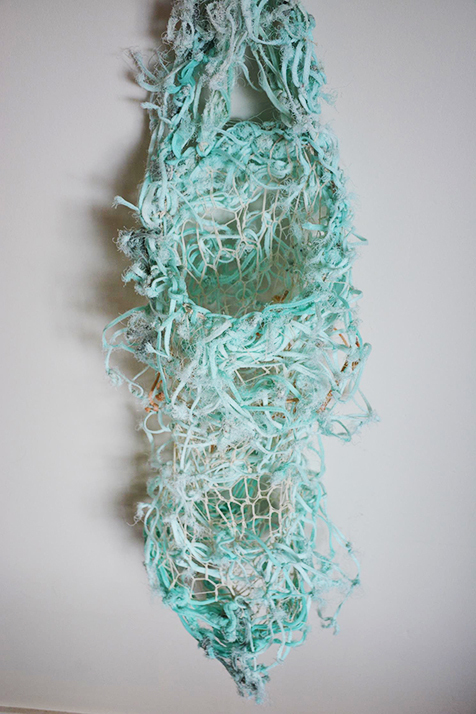 With 25 years’ experience Kenita creates alluring 2D, and 3D weavings, using recycled materials and marine detritus collected along the Island’s shores. Inspired by the natural environment, she uses the very materials that threaten its existence, to create objects of beauty. We hope you will join us for the launch of this exciting new exhibition on Tuesday 4 July at 5.45 pm in the main Gallery. Islands of the World conference convenor Jayne Bates will welcome visitors before the official opening by another well known Island identity, former film industry insider Gethin Creagh. All artwork is for sale, and photographs are available framed or unframed. To find out more about the Island Spotlight exhibition contact curator Fleur Peters via our contact form. Come meet members of the Island’s arts community and discover these captivating representations of the one small island we love best!